Round out your arsenal with an over-under shotgun from Pat’s Archery and Outdoors’ website. Here at Pat’s, we understand that every hunter, shooter and firearm enthusiast has a unique set of demands when it comes time to shop for firearms. That’s why we offer over-under shotguns from a variety of the most reputable names in the industry and with all the features you expect from a top-of-the-line shotgun. True to their name, over-under shotguns feature two barrels – one on top, one on the bottom. And just like any type of gun, these unique firearms offer a distinct collection of selling points, from their durability and reliable performance to the ability to equip one gun with two different chokes. Popular uses for over-under shotguns include clay shooting and upland bird hunting. Pat’s Archery and Outdoors’ website is dedicated to providing the world’s outdoor explorers and gun enthusiasts with an extensive selection of high-quality gear, and our diverse stock of shotguns proves that we make good on our promises. Whether you’re seeking a firearm embellished with ornate engraving for display as a collectible piece or a camo-cloaked over-under shotgun for your next trip into the field, you’ll have no trouble selecting a firearm that meets your demands. In order to deliver the quality products you deserve, Pat’s website stocks all the top-tier brands you’ve come to love, including Beretta, Browning, Mossberg, Weatherby and many more, and our stock is constantly updated with fresh gear. Plus, choose between shotguns with a range of varying features, including stock material, metal finish, trigger style, barrel design, choke configuration and everything else that plays a key role in the shooting experience. Once you’ve picked out the gun that’s right for you, make sure to stock up on the supplies you need for your next shooting event or hunting trip. 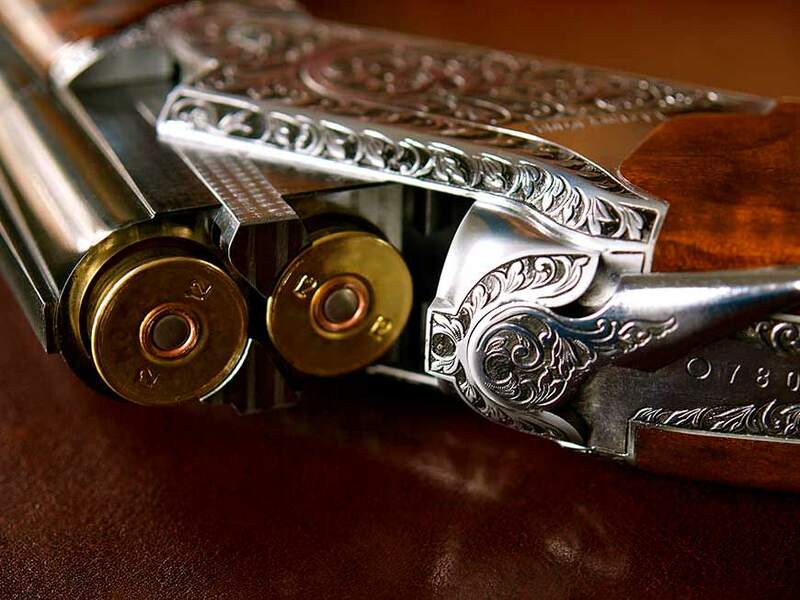 Pat’s website offers not only ammunition, but sights, cases, gun parts, tools, safes and an assortment of additional accessories that can keep your firearms in peak condition. Browse over-under shotguns online to see what’s currently in stock, or contact Pat’s Archery and Outdoors in Jasper, AL with questions or comments.